I love my country even if we have our share of problems. Who doesn't? I am just so proud to be from the USA - the best country in the world. 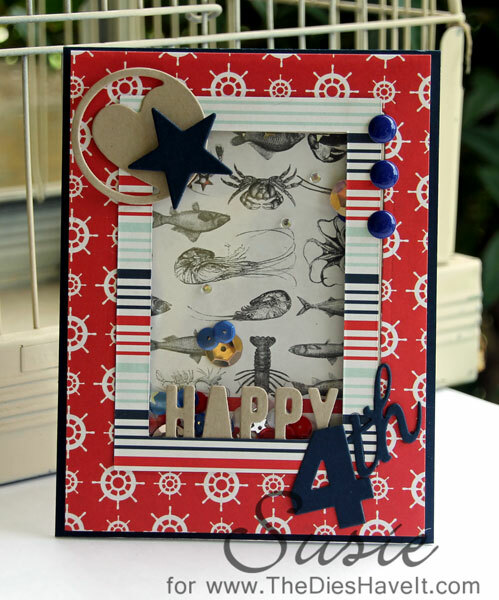 Just for fun today I decided to enter my card in the Wonderful Word Challenge over at Moxie Fab World. You can play along too! Just use a word die - mine is from Teresa Collins and is actually attached to a little frame (underneath the striped frame). Have a wonderful holiday and be safe!